A loan of $275 helped to pay his children’s school fees so they can get a good education and high-paying jobs in the future. Adamu is a maize farmer, who is married and lives with his wife and children in Sakadadi village, Kaduna. Sakadadi is a small community where farming is the primary occupation. Adamu dreams that one day his children will grow up to be a medical doctor and a soldier. Using his last input loan from Babban Gona, Adamu gained access to high-quality farm inputs, and now expects a bountiful harvest. 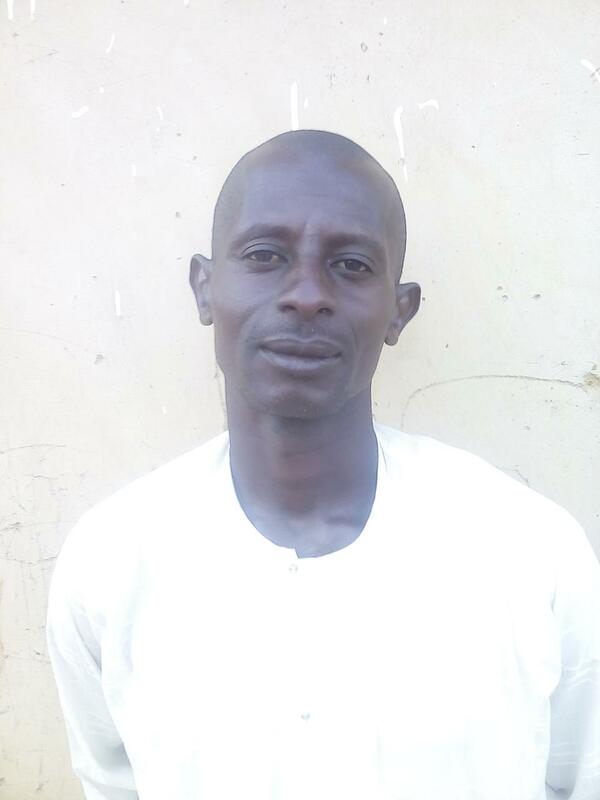 As a Babban Gona member, Adamu will now receive a Harvest Advance loan, providing him with a cash advance. He will use this loan to pay his children’s school fees and secure their future. Additionally, Babban Gona will support Adamu by storing the harvested maize to sell later in the year. Now he does not have to forfeit making a profit by selling his maize at low harvest prices. Adamu notes that working with Babban Gona has improved his life considerably by providing him with a holistic agricultural package and wide support network. Adamu can now generate earnings significantly above the average Nigerian farmer’s annual income and secure his family’s future. It supports smallholder farmers and helps them increase yields. This loan is aimed at helping smallholder farmers. The farmers are divided into Trust Groups and deliver training and development services, inputs like seeds on credit and post-harvest marketing services. This system increases farmers’ yields up to 4 times the national average. In addition, Babban Gona markets its farmers’ produce to premium markets over the course of the year, ensuring that they receive the best price possible for their produce and have a steady flow of income year round. Kiva loans are used to help Babban Gona expand its services to more rural areas in Northern Nigeria. Babban Gona posts loans before the inputs are provided so there is a chance that farmers will change their input package after the loan is posted. As a result, the loan amount may slightly change after you fund the loan, and any difference will be repaid to you when the first loan repayment is made. By supporting this loan, you’re providing farmers with the opportunity to increase their yields. Like Kiva, Babban Gona is committed to expanding opportunity in remote areas of the world by helping people build knowledge, sharpen their skills, grow their businesses and ultimately improve their living standards. Aiming to decrease unemployment in Nigeria, the organization offers loans to male and female farmers to increase their harvest yields and profitability. Babban Gona is also Kiva’s only current field partner in Nigeria, expanding our organization’s footprint to another country where microfinance can make a major impact.